Harry receiving his participation certificate earlier today. Well done! 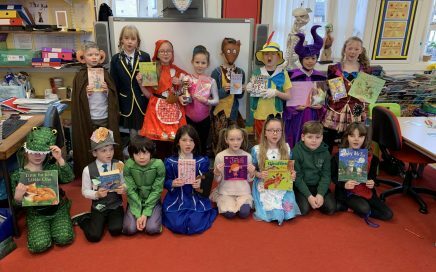 Ross County football skills and World book day. What a literary looking lot!